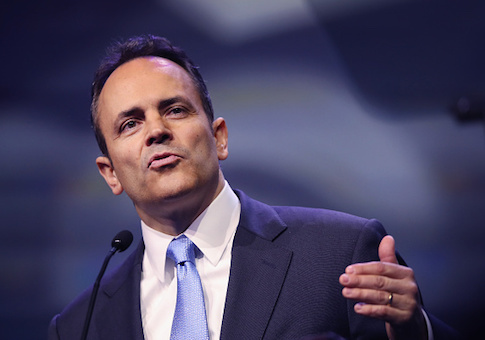 "The KRTW Act does not violate the equal protections afforded by the Kentucky Constitution, nor is it special legislation that was enacted," the ruling says. "No genuine issue of material fact exists for any of these issues." "The Court holds that Plaintiffs do not hold a vested property interest in union service or future union security contracts, and, further, the KRTW Act does not constitute a taking," the ruling says. "Any lost payment of compulsory dues is not a taking because future union dues and fees do not constitute a vested property interest with which the government is interfering." The judge said the denial of non-members fees did not meet the bar for unconstitutional taking. Federal law has long held that right to work laws are constitutional and that unions voluntarily enter collective bargaining agreements knowing that labor policy may change at the state level. "Unions have long known that the privilege of exclusive representation comes with the obligation of exclusively representing all members of an organization," the ruling says. "Unions have had notice of a potential change in state legislation, and the reality that legislation may change has long colored the scope of a union's investment backed expectations." The ruling won approval from labor watchdogs. Patrick Semmens, spokesman for the National Right to Work Foundation, which helped to defend the law, called the lawsuit a "desperate" last-ditch effort to overturn the law. "The lawsuit is a desperate attempt by union bosses to restore their forced dues powers over workers, and if it were actually successful it would threaten the record investment and tens of thousands of new jobs created since Right to Work was enacted," Semmens said. "Instead of wasting more of their members' money by appealing this ruling, union officials ought to be working to gain the voluntary support of the workers they claim to represent." The union did not respond to requests for comment about whether it plans to appeal the ruling. This entry was posted in Issues and tagged Right to Work, Unions. Bookmark the permalink.